Description: Antique print Indonesia with an image on each side. The first image depicts Ontong Java, one of the largest atolls on earth. 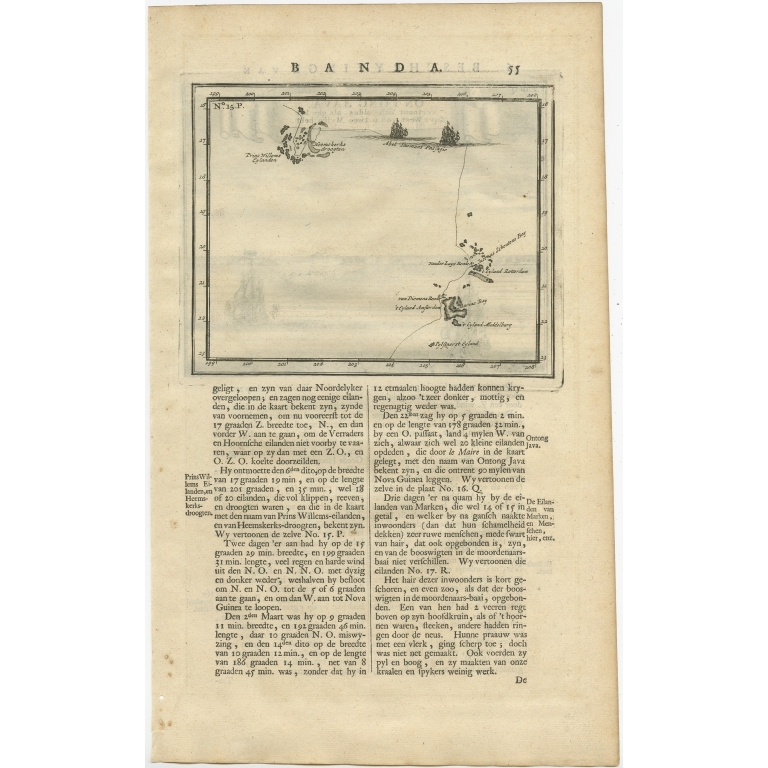 On verso: antique map of the Banda Islands. With the route of Abel Tasman. 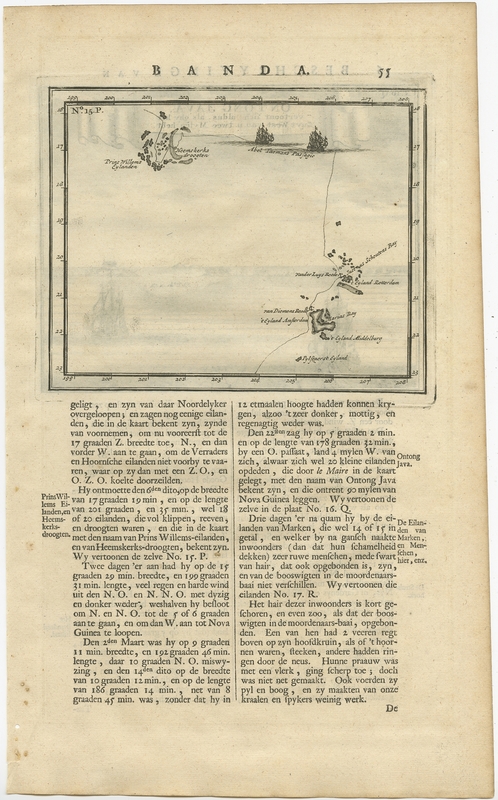 This print originates from 'Oud en Nieuw Oost-Indiën' by F. Valentijn.